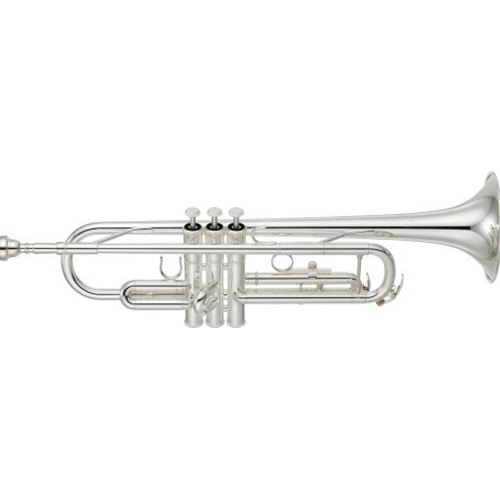 For the first time Yamaha has designed a student trumpet with a reversed main tuning slide allowing for an exceptional feel and response. The YTR-3335 has the addition of a brace on the main tuning slide for a more stable and solid sound. The newly designed two-piece yellow brass bell has the perfect parameter for the needs of a student. It has a light response and the ideal thickness of two-piece yellow brass bell making it easy for students to get started and develop a brilliant tone. Features: Reversed tuning slide: Reversed tuning slide enables easy blowing and smooth and comfortable feel in playing. Yellow brass bell: The newly redesigned, durable yet light two-piece bell is made of yellow brass for optimal playability and to promote good technique and endurance. New piston, piston caps and buttons: Highly durable monel alloy pistons as well as newly designed piston buttons and bottom caps help lengthen the life of the instrument while also maximizing sound quality. New tuning slides: The 2nd and main tuning slides are produced using the same method as high-end Yamaha models, which provides stability, a more refined tonal color and added durability. Brace: Main tuning brace lets sound more focus and hold together.